Even though many of you will be Glamping in your Airstream, one might find this handy device helpful when trying to light an outdoor fire. 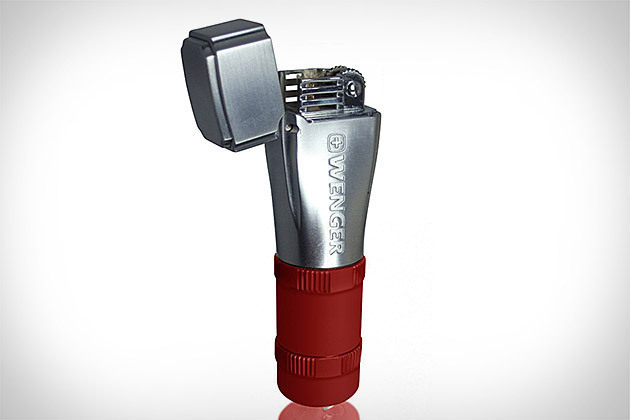 Wenger Fidis Camping Lighter is the most dependable, durable lighter available. “Fidis distinguishes itself as a lighter with something extra…a spare fuel tank. 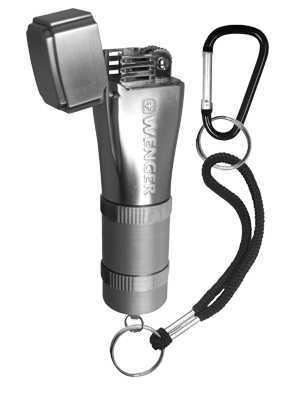 The lighter is essentially three parts, a conventional flint and wick lighter, a unique backup fuel tank is connected to the body of the lighter, and a spare compartment where the extra flints are located in the bottom cap. It’s so reliable that it carries its own separately sealed spare fluid reservoir for use when the main compartment eventually evaporates or gets used up. The accessories: flint, burning wick and fuel are easily replaced.” Purchase Fidis here.